비선형 최적화는 그 범위가 광범위합니다. 사용자 자신의 문제에 맞는 예제와 이론을 찾으려면 해당 문제 유형에 대한 범주를 선택하십시오. 제약 조건이 없는 단일 비선형 목적 함수를 최적화하는 방법은 제약 조건이 없는 최적화 항목을 참조하십시오. 제약 조건이 적용되는 단일 목적 함수를 최적화하는 방법은 제약 조건이 있는 최적화 항목을 참조하십시오. 여러 개의 목적 함수를 최적화하는 방법은 다중 목적 함수 최적화 항목을 참조하십시오. 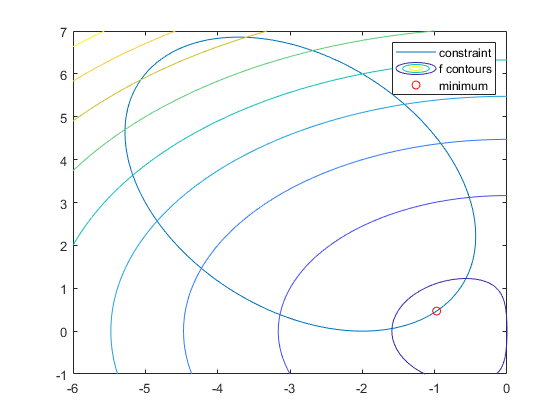 Tutorial example showing how to solve nonlinear problems and pass extra parameters. 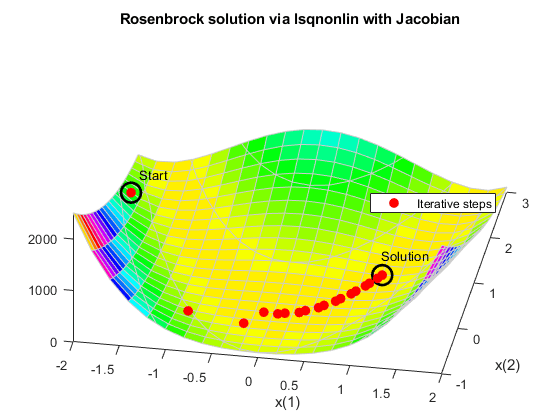 Shows how to solve for the minimum of Rosenbrock's function using different solvers, with or without gradients. 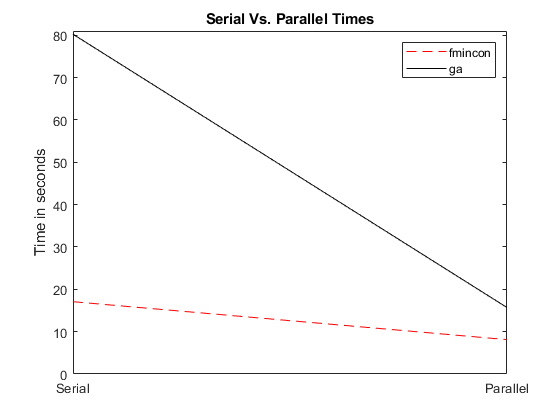 Example showing how to use parallel computing in both Global Optimization Toolbox and Optimization Toolbox™ solvers.